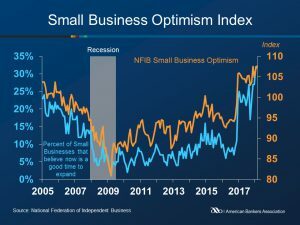 The NFIB Small Business Optimism Index grew to 107.6, 0.7 point above January’s reading. February’s report was the second highest reading in the 45-year history of the index. Six of the ten index components rose in February, while one declined. 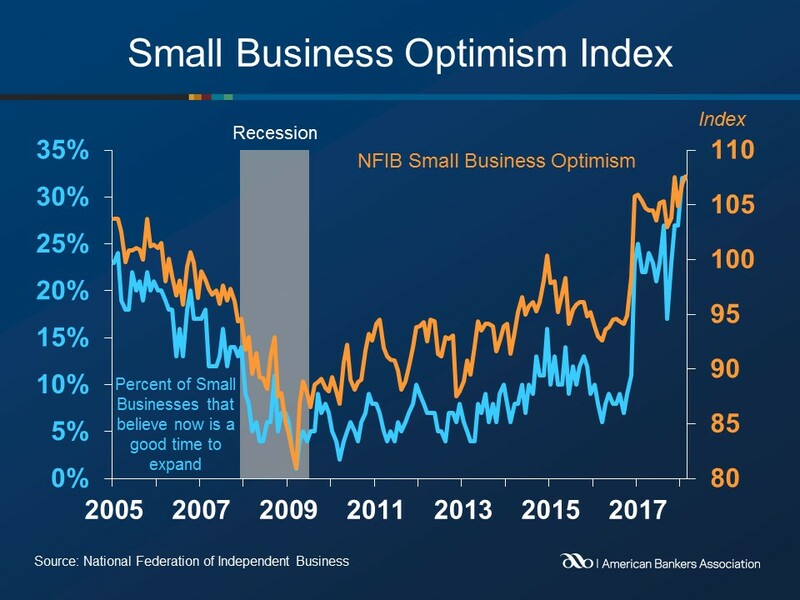 Thirty-two percent of business owners surveyed said the next three months was a good time to expand, unchanged from last month’s reading. Reported job creation fell three points, as 52% of businesses reported hiring or trying to hire. However, 47% reported few or no qualified applicants for the positions they were trying to fill. Twenty-two percent of employers surveyed cited the difficulty of finding qualified workers as their top business problem. A seasonally adjusted net 18% of owners plan to create new jobs, down two points from last month. Seasonally adjusted, the net percent of owners expecting better business conditions increased two points to 43%. The percent of owners reporting higher sales in the past three months compared to the prior three months was a net 8%, a three point improvement from January. Seasonally adjusted, the net percent of owners expecting higher real sales volumes grew three points to 28% of owners. Capital spending grew five points as 61% of owners reported capital outlays, the highest reading since 2000. The percent of owners planning capital outlays in the next 3 to 6 months was unchanged at 29%. Credit concerns remained historically low, as just 2% of owners reported that all their borrowing needs were not met, one lower than January. Only 2% of business owners surveyed reported that financing was their top business problem.